Drawing on a wealth of personal stories and fascinating facts, The Defining Decade (2012) argues that, contrary to popular belief, 30 is not the new 20. 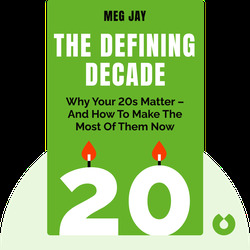 Author Meg Jay uses her vast experience as a professional psychologist to advise twentysomethings on such issues as choosing a partner, starting a family, picking a career, and generally making the most of one’s 20s. 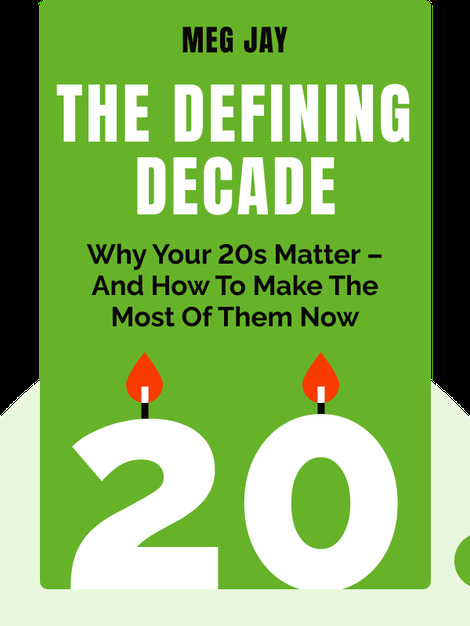 Jay also argues that the years between 20 and 30 are the time to establish serious goals and, because the adult brain is at its most pliable then, to begin to take steps toward reaching them. Meg Jay is a clinical psychologist and author who specializes in adult development, with a particular focus on twentysomethings. Jay has had her work published in the Los Angeles Times, New York Times and USA Today, and has appeared as a guest on NPR. Her 2013 TED talk “Why 30 Is Not the New 20” is one of the most viewed TED talks of 2013.